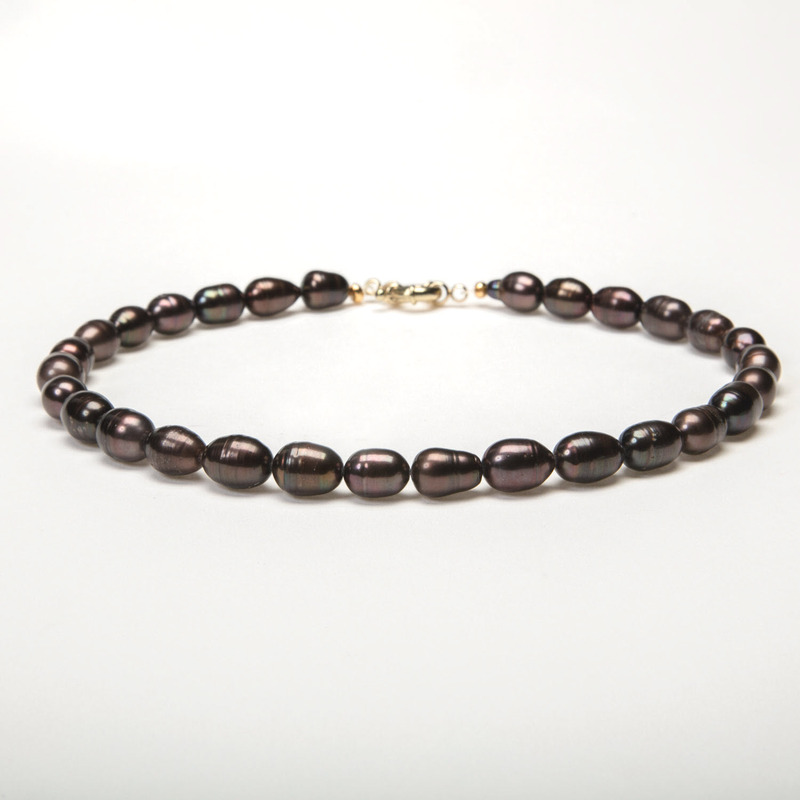 Chocolate pearl necklace made with large dark chocolate coloured oval shaped baroque pearls. The baroque pearls are AAA luxe standard and measure 13mm in length and 11mm in width. These are large eye catching pearls. The baroque pearl necklace is finished with a nautical style gold clasp and measures 16 inches.